Universal Robots has revolutionized the robotic market with their innovative robotic arms UR3, UR5, and UR10 which can handle payloads of up to 3, 5, and 10 kilos respectively. 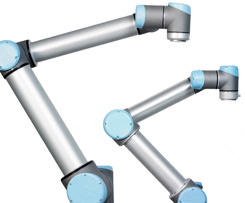 They are the flexible, light weight and user friendly 6 axis industrial robots. They are developed specially for small and medium enterprises, which have the need for flexible and effective automation that can provide them fast return on investments. The robots are easy to move around and do not require sturdy bases due to their light weight structure. The robots are delivered with everything that is required for programming. This includes the controller box, touchscreen and software. The unique graphic user interface on the touchscreen makes programming easy and the requirement for robot experts redundant. To top it all off, the robots are delivered with an electrical interface that is compliant with most industrial sensors and programmable logic controls (PLC). Compact and flexible, Robotiq's 2 and 3 Finger Adaptive Robot Grippers have been designed to give industrial automation the flexibility needed to automate processes including a high-mix of parts. Fully programmable, these robotic grippers can handle a wide variety of parts through three distinct gripping modes: parallel grip, encompassing grip and inside pick. 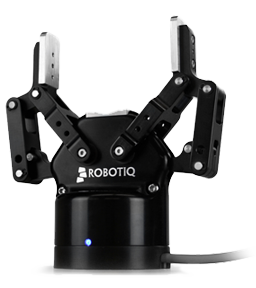 Robotiq's force sensor, wrist camera, and Insights software create a complete plug and play solution for your Universal Robot. Zimmer brings over 30 years of experience in the fields of pneumatic and electric handling components. Zimmer is a reliable partner due to its global product and service strategy with more than 3000 catalog products, customized solutions, gripper and handling components ready for installation, and its wide range of services. 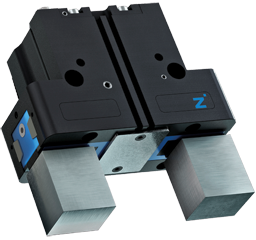 Zimmer's grippers are the perfect compliment to Axis New England's line of robotics and work well with both Universal Robots and Denso Robots. With their wide array of grippers (parallel, concentric, angular) there is sure to be one to fit your application. 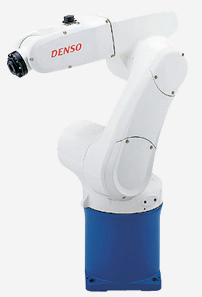 Denso offers an array of five and six axis robots. The new DENSO VS-Series six-axis articulated robots offer the world's highest speed and precision for their class. Their design, which is even more compact than previous models, features ultra slim arms to facilitate integration and an optional bottom-side cable connection that saves valuable floor space. The robots can be mounted on the floor, ceiling or wall with no special hardware needed. An extremely high maximum allowable moment of inertia enables more flexible end-effector designs and a wider range of applications than conventional robots. In addition, a new internal wiring option allows users to easily connect Gigabit Ethernet devices and servo grippers directly to the flange, preventing cables from becoming tangled or interfering with peripheral equipment. A new IP67 dust- and splash proof protection option enables the robots to resist cutting chips and high-pressure washing, extending their application range. ANSI and CE safety compliance allows global deployment. 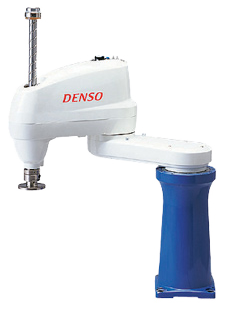 The Denso HS-Series compact, four-axis SCARA robots offer the highest speed and repeatability in their class. Although these small industrial robots have a compact, space-saving design, they have a large load-handling capability, with a maximum payload of 5 kg. In addition, their large, 0.1 kgm² maximum allowable moment of inertia enables a wide range of end effectors and applications. 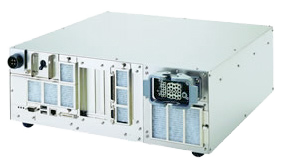 All HS Series robots are available in dust- and mist-proof (IP65) or cleanroom class 10 configurations. ANSI and CE compliance allows global deployment. UL-listed models are available for both the U.S. and Canada. Parker Daedal offers standard configurations on several 2 and 3 axis systems. Standard XRS Systems are pre-engineered to optimize workspace, simplify selection, shorten delivery and lower costs. A unique mix of linear servo motor and ballscrew drive technology provides optimized dynamic performance for today's demanding automation applications. These systems are offered in three size platforms (Small; Medium; Large) and 124 standard variations. The load capacity for these systems reaches 25kg and the work envelope can be as large as 1 meter square. The Delta Tau PMAC NC controllers incorporate the power of our controllers into an industrial package. The package is designed as a retrofit to an existing machine or as a control package for new machines. With over 10 years of development, it is a cost-effective, solid, powerful, and most of all flexible control for NC equipment. Need custom G-codes, logic program, tool changer, etc.? Don't pay for it, do it yourself with our standard development tools! The PMAC NC is packaged with our NC software, operator controls, PMAC controller, NC computer, industrial enclosure and development software. Denso's new RC7 high-performance controller processes programs five times faster than the previous model yet maintains its industry-renowned user-friendly operation, light weight and compact size. The RC7 weighs less than 50 lbs. and is only 440 mm w. x 425 mm d. x 157.5 mm h., saving valuable work-cell space and making it easy to integrate. The RC7 features an expanded range of communications interfaces as standard, including 100 Base-T Ethernet, USB, RS-232C and Mini Parallel I/O. DeviceNet, Profibus, Parallel I/O and Ethernet/IP ports are optional. The RC7 can control a total of eight axes, including optional conveyor tracking and robot vision. The controller's large, 3.25 MB memory (expandable to 5.5 MB) can hold up to 10,000 programming steps and 30,000 teach points. The RC7 is fully compliant with the latest ISO, ANSI and CE safety standards, making it suitable for global deployment. Optional accessories include a new, improved teaching pendant with a larger, 7.5 in. color touchscreen and a low-cost yet highly functional mini pendant with a 128 x 64 pixel LCD display. 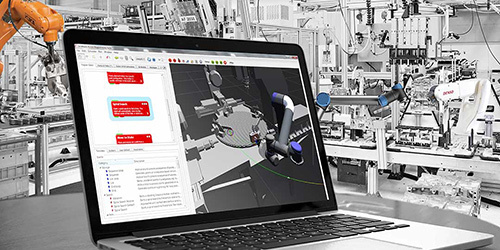 WINCAPS III 3-D simulation software allows offline programming and remote, real-time monitoring of robot operation. The Adept Quattro parallel robot (delta robot), which is Adept's latest robotic product offering, is the continuation of Adept's market-leading position in high-speed manufacturing, packaging and assembly robots. The Adept Quattro parallel robot is the next stage in the development of "picker" robots, specifically designed for high-speed manufacturing, packaging and assembly applications. The Quattro parallel robot compliments an already-impressive line of Adept robots, including the tabletop Cobra SCARA robots, a suite of 6-axis, articulated-arm Viper robots, and the Python linear modules. The Adept Quattro parallel robot is available with Adept's vision software and integrated controls for high-speed, reliable manufacturing, packaging and assembly. With the addition of the Adept Quattro parallel robot, Adept continues to meet the needs of this ever-growing global market. Adept's high speed SCARA robot (4-axis robot) innovations have lead the industry for over twenty-five years. In 1984, Adept introduced the AdeptOne SCARA robot, the world's first direct-drive robot. The AdeptOne SCARA robot changed the face of robotics with its innovative, cutting-edge design. Adept's high speed SCARA robot innovations continue today with the eCobra 600 and eCobra 800 SCARA robot, embedding all electronics and motion controls into the robot arm, maximizing valuable floor space and simplifying installation. The Cobra s600 SCARA robot and Cobra s800 SCARA robot take advantage of the extended application capabilities offered by an external SmartController for multi robot control and increased I/O capabilities. And, the Cobra s800 inverted SCARA robot provides the same high speed SCARA robot work envelope and payload in an inverted (ceiling mount) configuration. 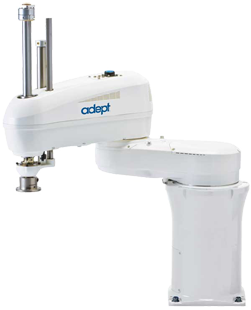 Adept's smallest SCARA robot offering, the Cobra s350 SCARA robot, provides Cobra SCARA robot (4-axis robot) high speed and performance in a smaller motion envelope. 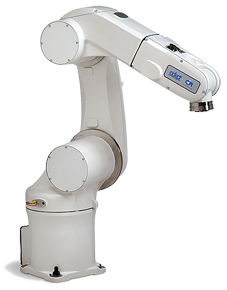 The Adept ViperT s650 six-axis robot is a high-performance articulated robot designed specifically for assembly applications. The speed and precision of Adept Viper six-axis robots make them ideal for material handling, packaging, machine tending, and many other operations requiring fast and precise automation. 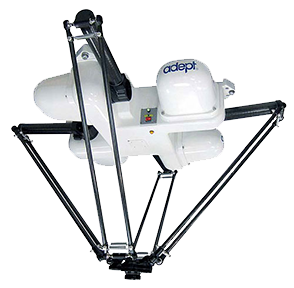 The Adept Viper s650 six-axis robot provides Adept Viper speed and precision in a 650 mm reach. The Adept PythonT linear modules are high-quality linear modules for assembly and material handling applications. 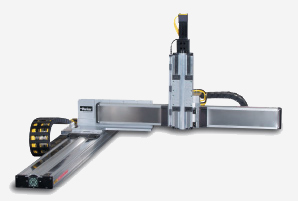 Adept Python linear modules incorporate unique design features making them the most robust modules for gantry or cantilever configurations. Our exclusive manufacturing process enables Adept to provide the exact system needed for your specific application with a very competitive delivery time. Adept 3D Linear Modules Builder allows you to create a 3D model of your Python linear modules system, view and download the models for use in your design software, and submit an online RFQ. The Adept SmartController EX is an ultra-compact, high-performance, distributed robot motion controller capable of controlling an entire production line including up to 15 robots and third-party peripherals. The controller's distributed architecture, embedded software, integrated belt tracking and high-speed communications allows users to integrate their automation systems with the user-friendly interface of the ACE PC-based software. Designed for use with Adept Cobra s-series SCARA robots, Viper six-axis robots, Quattro parallel robots and Python Linear Modules, the controller features Gigabit Ethernet, a high-speed processor and new software, called Adept eV+. Integration with the Adept SmartVision delivers seamless control of your vision systems, belts and robots. The Adept SmartController EX is smart control delivered. The Adept Lynx is a self-navigating Autonomous Indoor Vehicle (AIV) designed for dynamically moving material in challenging environments that may include confined passageways as well as dynamic and peopled locations. Unlike traditional autonomously guided vehicles (AGVs), Lynx requires no facility modifications, such as floor magnets or navigational beacons, saving users up to 15% in deployment costs. Lynx includes Adept's proprietary software and controls allowing it to intelligently navigate around people and unplanned obstacles, that render traditional AGVs incapacitated and it can be programmed and functional within a day. 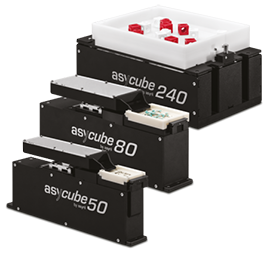 Designed for developers, integrators, and end-users the system can be customized for a variety applications and payloads. Manufacturing, warehousing, clean tech, and laboratories are just a few environments ideal for Lynx. 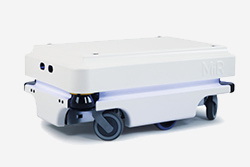 MiR100 is a user-friendly and efficient mobile robot for automation of internal transport and logistics solutions. The robot optimizes workflows, freeing up staff resources and allowing you to increase productivity while reducing costs. MiR100 belongs to a new generation of advanced mobile robots which gives you a rapid return on investment, often with a payback period of less than a year. Technology enables the robot to either "identify" its driving area and surroundings or import 3D drawings of the building layout. Asyril develops, produces and markets high performance flexible feeding systems for parts and components from <0.1 up to 150 mm in size. Their innovative 3-axis vibration technology can handle bulk parts of any geometry and allows for extremely gentle part feeding. Asyril's key competences and extensive know-how encompass all three sub-domains of modern part feeding systems: vibration technology, industrial vision and precision robotics. This unique focus combined with their many years of experience enables them to deliver superior, innovative flexible feeding systems for today's and tomorrow automation challenges. Artiminds Robot Programming Suite (RPS) represents a new generation of automation. It is flexible, universal, robust and portable, thus combining the best of both human labor and classical automation.